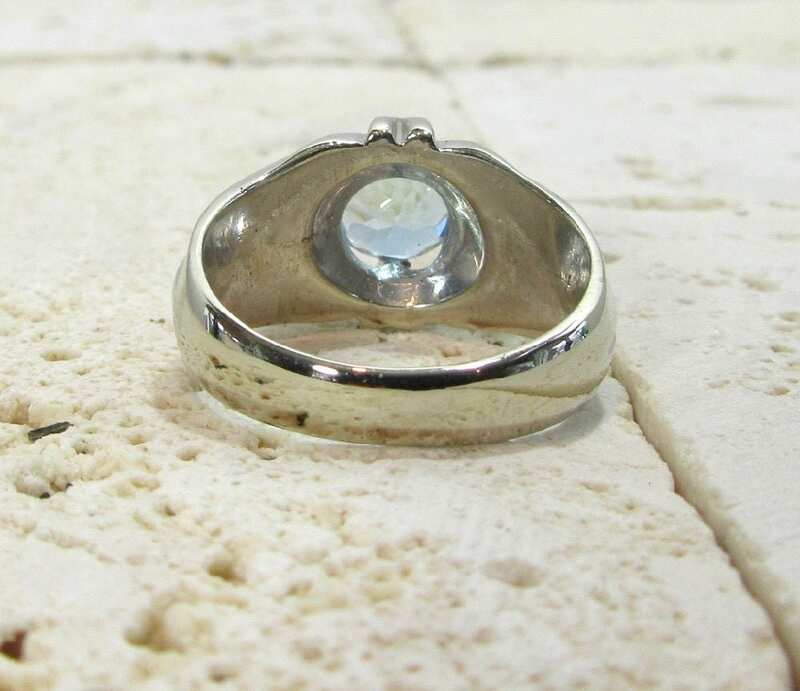 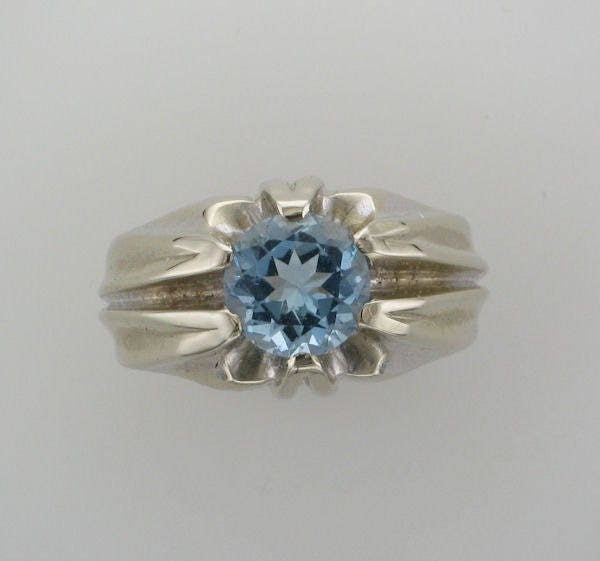 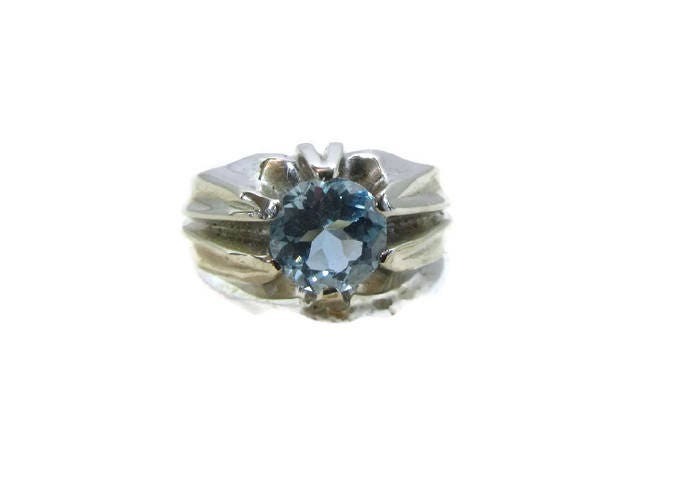 Vintage 14 karat white gold Aquamarine ring. 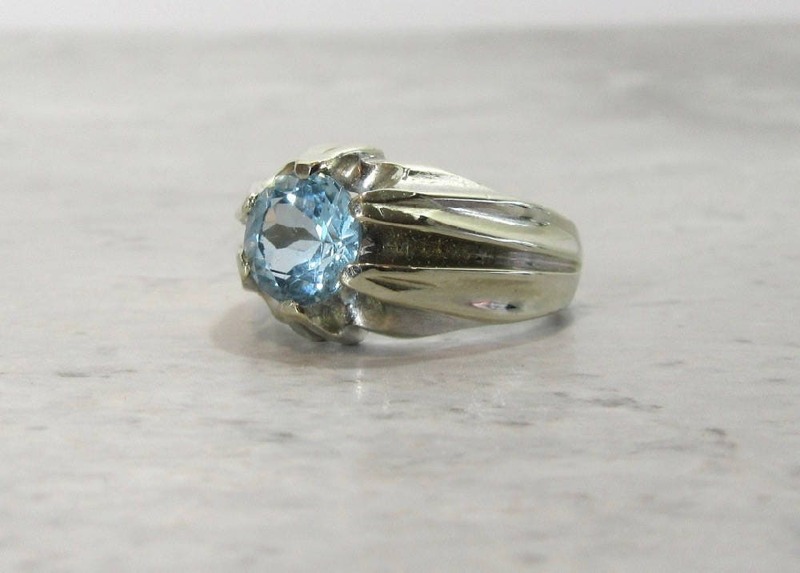 Set in the center is one round faceted aquamarine weighing 1.40 carats. 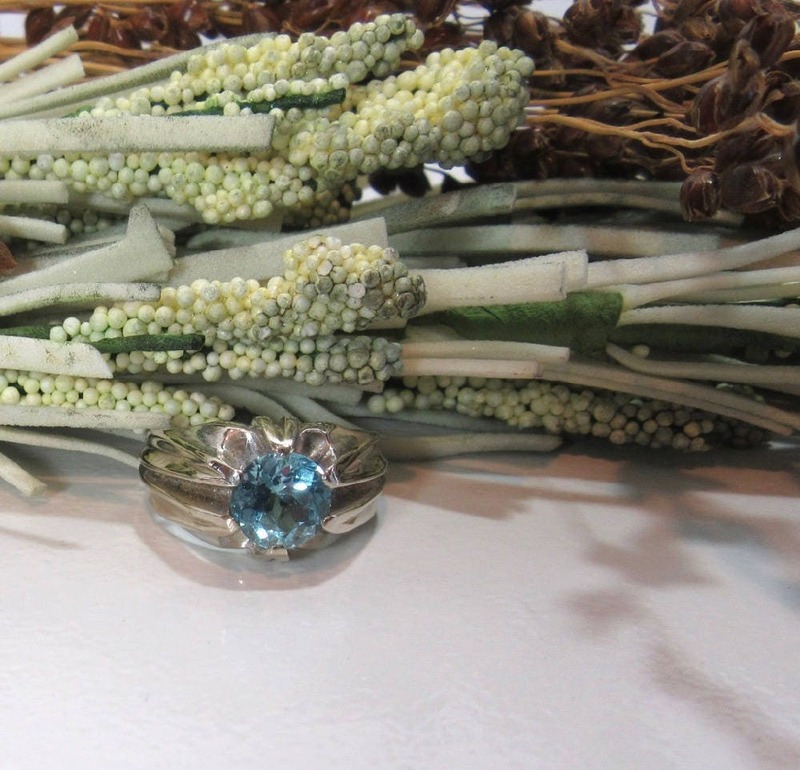 The aqua is considered to be moderate greenish blue in hue. 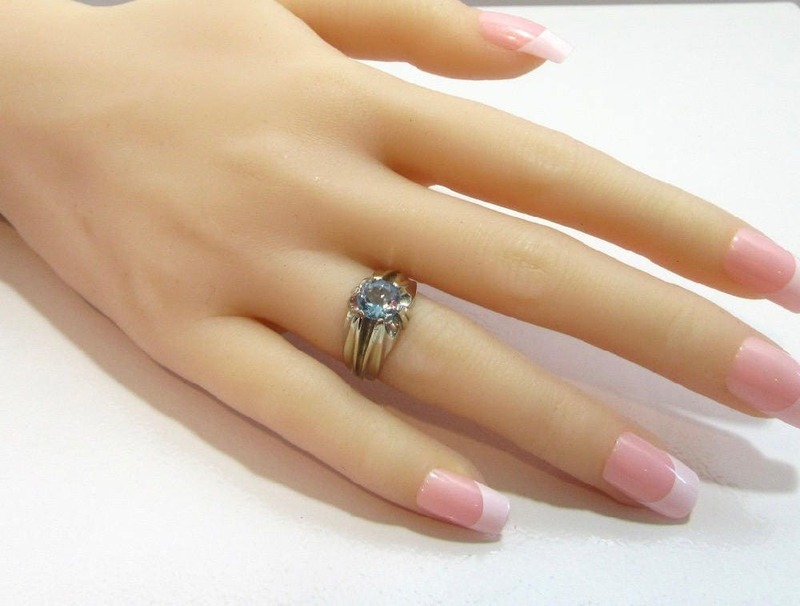 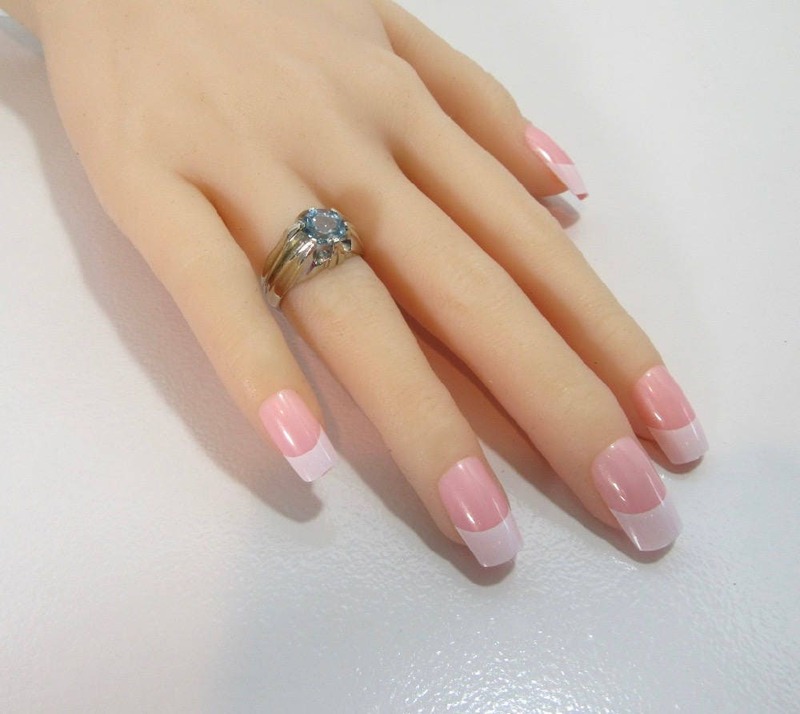 Although originally a man's ring I've had many women try it on and it looks fabulous on their hand. 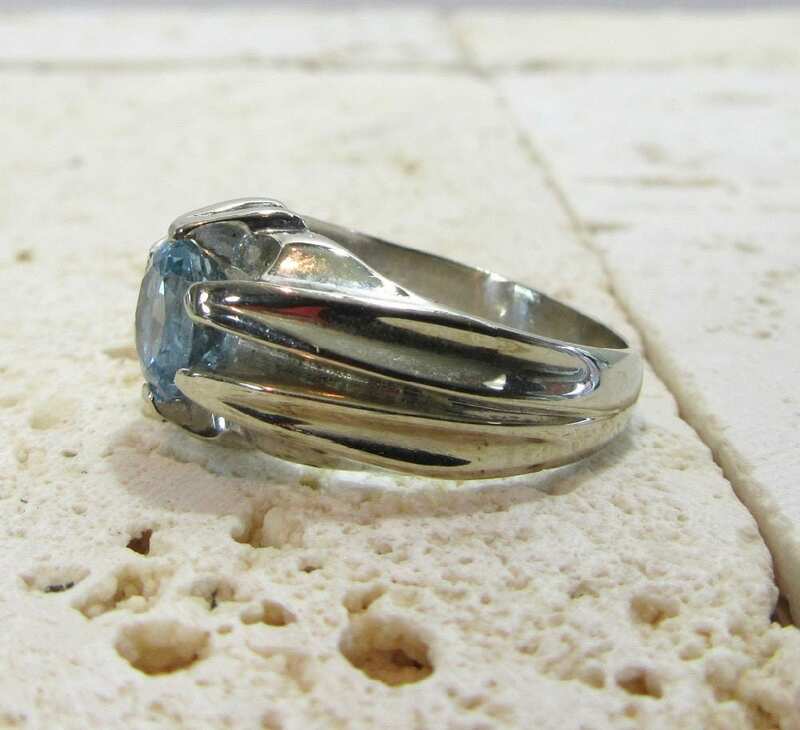 Very comfortable ring to wear for every day! 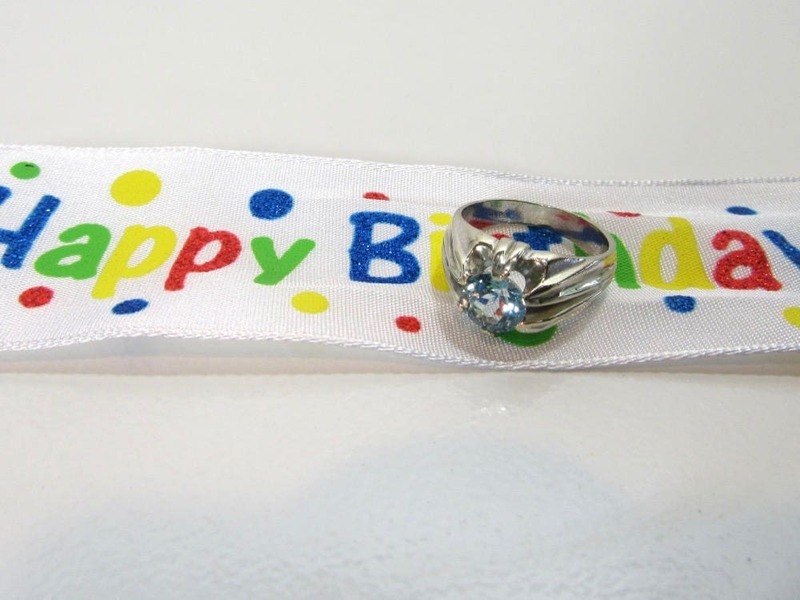 Ring Size: Large 6-1/2 can be sized. 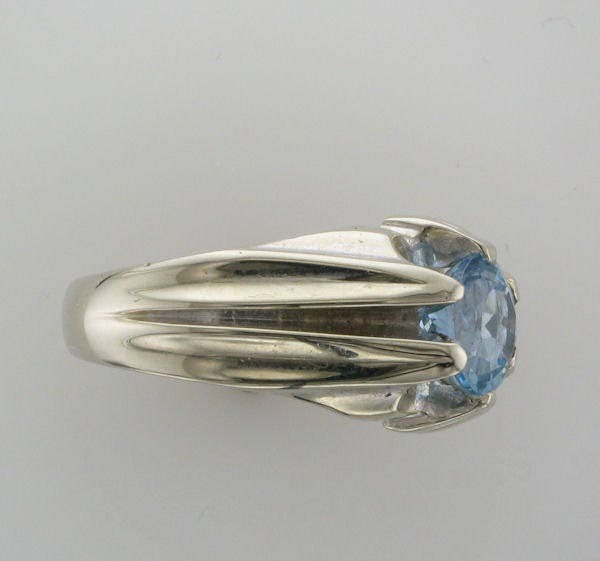 Circa: 1950.